… one of those moments from 2005 is certainly worth remembering. One day that year, a young dancer named Alejandro Cerrudo showed up for work. It didn’t take forty years for Hubbard Street Dance Chicago to become one of the most respected dance companies in the world; that had already been the case for quite a while when the Company launched its fortieth anniversary season last fall. It certainly didn’t happen all at once; that kind of achievement is the flowing culmination of many other accomplishments, of many hours and individuals and ideas. But of all the moments when something happened at Hubbard Street that later seemed essential to how they came to be so respected, a forgotten moment from 2005 is certainly worth a thought. One day that year, a young dancer named Alejandro Cerrudo showed up for work for the very first time. He’d only been a professional dancer for maybe seven years when he got to work that first day, but just four years later, Hubbard Street Dance Chicago named him their first ever Resident Choreographer. In the ten years that he has been making dances for them since, Cerrudo has come up with such a breathlessly convincing series of widely admired works that now, it’s difficult now to imagine how really remarkable that appointment was. At the time, Hubbard Street had never had a resident choreographer, and didn’t exactly need one. They performed the works of the greatest choreographers in the world, as they still do. Many of those choreographers would probably wait in a long line — on a hot day — just for the chance to see their work performed by the incredibly accomplished company. Did the decision to give that job to a young dancer who had only been with them for four years seem risky to anybody at the time? Well, that doesn’t matter too much any more. Cerrudo has made that decision seem brilliant so many times since then that now, the whole idea looks practically like a celebration. The actual celebration is in the form of two exquisitely promising concerts at Chicago’s Auditorium Theatre. On Friday, March 23 and Saturday, March 24 (both at 7:30pm), Hubbard Street will present An Evening of Alejandro Cerrudo, performing four works that span his ten years as Resident Choreographer. The program includes his works Lickety-Split, Off Screen, and Silent Ghost, and features the World Premiere of Out of Your Mind. The creation process for the new piece Out of Your Mind was particularly different from my previous works. I really wanted to push myself to create using new methodologies. Johnny Nevin: In preparing for Hubbard Street’s An Evening of Alejandro Cerrudo, you’ve been in the unique position of bouncing back and forth across more than a decade of your own creative vision. In particular, it must have been quite an experience to be creating your new work Out of Your Mind while at the same time introducing a new generation of Hubbard Street dancers to your very first work for the Company, Lickety-Split. What was that like for you as an artist, as a choreographer, and even just as a person to be almost time traveling through your own creative ideas? 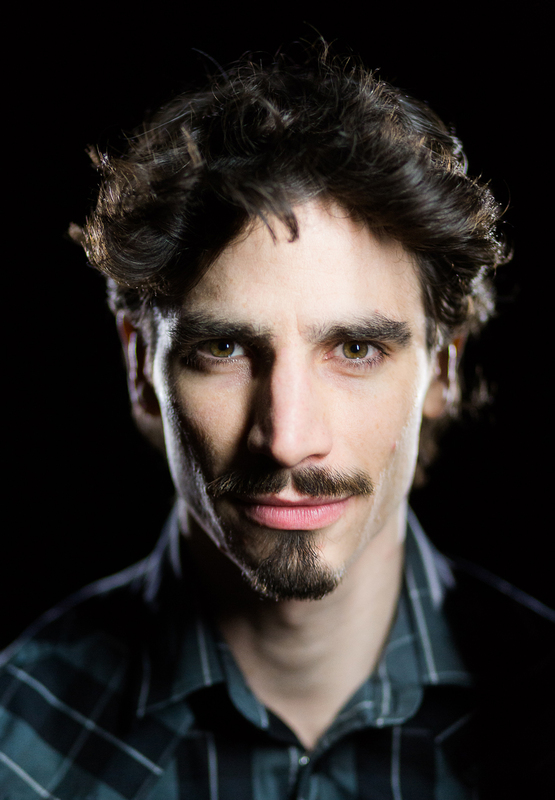 Alejandro Cerrudo: Each piece represents a specific time and place in both my life and career as a choreographer. When approaching the creation of each new work, I always try to find ways to make them unique and interesting. While they are all drastically different, they are all also pieces that I am incredibly proud of. Going back and staging the older pieces has in a way imbued them with new life. Each time an old work is performed again, it brings it back from the past into the present. While many of the pieces have been performed since their creation, this is the first time these pieces will be performed back to back in this way. I am curious to see how the individual pieces will appear in relationship to one another, and how viewers will find similarities and differences between them while watching this evolution. The creation process for the new piece Out of Your Mind was particularly different from my previous works. I really wanted to push myself to create using new methodologies. This is my first piece that is based on text, and was unusual in that the piece had a title before the creation process was completed. The dance is inspired by the writings of British philosopher Alan Watts, which is where the title originated. Johnny: The other two works in the program, Off Screen and Silent Ghost, are both works that have been performed by other companies, so you have already been intricately involved in the process of setting them in an entirely different context. Having been with Hubbard Street for so long, as dancer and as Resident Choreographer, what was it like to see these two works take on a new life with the Company you know so well? Alejandro: Having been a dancer and now being the resident choreographer at Hubbard Street means that there is already such a high level of trust and familiarity with the dancers that it makes working on any piece—new or old—a really intuitive and seamless process. When I start on a piece with another company it can take up to two weeks just to familiarize myself with the dancers and their unique capabilities. My relationship with Hubbard Street means we get a jump start on the process because I already know the dancers so well. Additionally, having Jessica Tong and Ana Lopez assisting in this process has been of vital help, because they are so familiar with my work and my history as a choreographer. They both could really see the direction I wanted to go and help me bring that direction to life. Hubbard Street Dance Chicago will present their Spring Series: An Evening of Alejandro Cerrudo at 7:30pm on Friday, March 23 and Saturday, March 24 at Chicago’s Auditorium Theatre. Tickets are available online from the The Auditorium. PHOTOS (from top): Alejandro Cerrudo. Photo by Jim Newberry • Hubbard Street Dancer Ana Lopez and former Hubbard Street Dancer Jessica Tong in Alejandro Cerrudo’s One Thousand Pieces. Photo by Todd Rosenberg • Hubbard Street Dancers Ana Lopez and Andrew Murdock in Alejandro Cerrudo’s Niebla. Photo by Todd Rosenberg. • Hubbard Street Dancer Ana Lopez and former Hubbard Street Dancer Benjamin Wardell in Alejandro Cerrudo’s Off Screen. • Hubbard Street Dancer Jacqueline Burnett in Alejandro Cerrudo’s One Thousand Pieces. Photo by Todd Rosenberg.